As a social media manager I have worked alongside large financial organisations to offer digital content guidance. In this article I’m going to tell you more about social media for finance including dealing with the dreaded compliance and regulation! For big banks, investment firms and financial brokers, social media is often low on the list of priorities. While we’re beginning to see more activity in social media finance, the financial services industry as a whole still has a long way to go to catch up. Currently, two out of three financial services brands use social media to engage customers. While financial services providers share the same opportunities and challenges as other businesses in adopting social media, they face additional barriers that can not only make or break their outreach campaign, but their underlying business as well. Go to any investment or discount brokerage website and scroll to the very bottom. 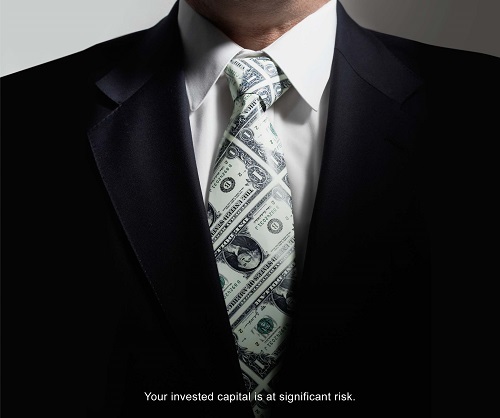 You’ll most likely see a whole bunch of disclaimers warning investors of the risks associated with trading leveraged products. By merely viewing a financial services website, you also agree that the information provided is for general informational purposes only that is of an impersonal nature and should not be construed as individualized advice or investment recommendations. While these warnings may seem repetitive and outdated, financial services providers are bound by them by regulators like CySEC, the FCA, FSA and many others. The warnings ensure that clients understand and accept all of the risks associated with trading on the open market and agree that any information they consume on the website is for informational purposes only. The last thing financial companies need is legal liability for disseminating investment advice when they aren’t regulated to do so. As social media for finance gains popularity, the framework for ensuring they don’t fall into any compliance traps becomes infinitely more complicated. That’s why the Financial Conduct Authority (FCA) recently released its “supervisory approach to financial promotions in social media” that applies to blogs, microblogs, social and professional networks, forums and video-sharing platforms. The FCA laid out examples of non-compliant versus compliant social media communications (note that the fair, clear and not misleading tweet includes a “prominent warning” within the message). Social media should be seen as an exciting way to grow a financial brand, especially for service providers with a large and growing customer base. Financial services providers can ensure their social media strategy is effective and compliant by following these six steps. While it may seem like overkill to create a separate governance structure for social media communications, doing so makes perfect sense. Think about it: whether it’s promoting a product or service or disseminating educational resources, a financial firm is extremely outbound in its communications. Developing an appropriate use guideline with clear examples that align with regulations is the very first step to ensuring appropriate outbound communications. This includes developing a social media policy and monitoring its implementation. Educating workers about how to safely engage with customers over social media is critical. This training extends beyond the marketing and communications team doing most of the daily updates, but to every employee with a professional social media account. Financial service companies have a clear vision of their business and target market. Social media efforts should elaborate on that vision without getting derailed. Every outbound communication must be centred around business objectives. This should be outlined in the social media policy outlined above. Social media can be more effective than traditional marketing techniques because it allows companies to connect with their audience on a personal level. This should also apply to financial service companies, which may have even more incentive to feature employees on their social media channels (for example, this post). Everyone from the office cleaner through to the CEO has a place on social media. One of the best ways to advertise for an investment service or product is to develop industry insights that can be used by the trading community, who will in turn share those insights with their peers (and so on and so forth). Forex.info, a market news and education resource powered by easyMarkets, is a prime example of industry intelligence in action. Are you managing a finance brand? Click here to contact me for digital content assistance. If you enjoyed reading my article why not share Social Media For Finance on your networks.